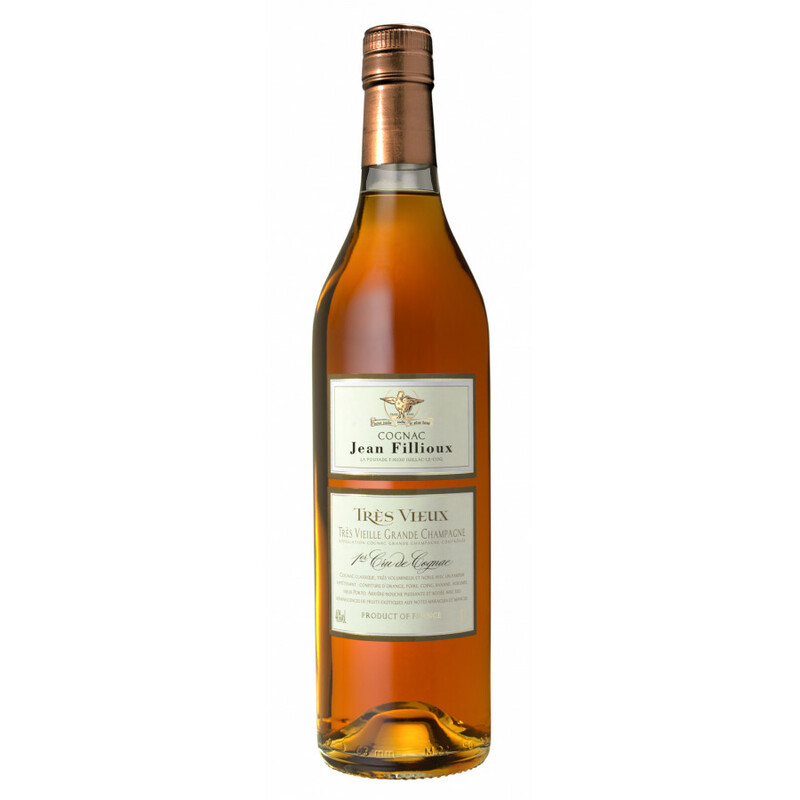 Jean Fillioux Tres Vieux Cognac is a rather old cognac, created purely from eaux-de-vies from Grande Champagne. 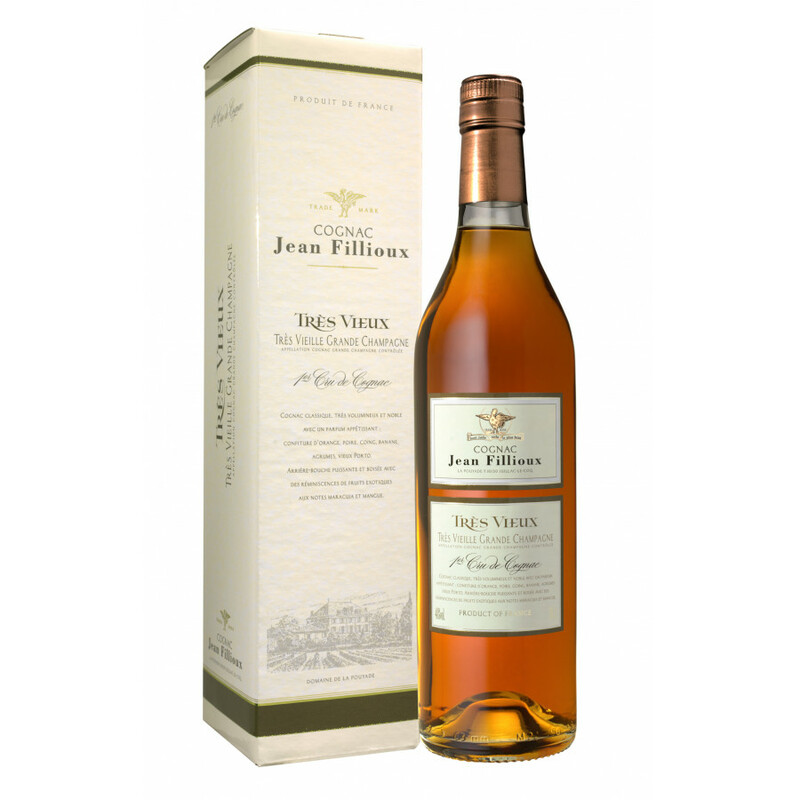 A cognac that is the embodiment of all that the house of Jean Fillioux is renowned for - quality, style and aplomb! A wonderful tipple to enjoy at the end of a splendid meal. I have a house in Charente, and while I am more of a scotch expert than I am of cognac, I have drunk a fair amount and have neighbours with strong views. I was at a get together when I was given a glass of Fillioux Tres Vieux and I thought it was nectar. I told my host that it was as good as any cognac I could remember, and on leaving to my surprise he generously gave me a bottle. I have shared it in England, as I have Hine and Maudet in the Charente. I remain convinced it is the best I have tasted while recognising that I have not drunk the most expensive cognacs around. It is smooth but has more character than some of the finer grand champagnes I have tried. It has the typical caramel and vanilla but somehow seems to balance the velvet with structure and is forthright with a long finish. It is not inexpensive at 90 euros or so but for a top bottle that is to be expected.